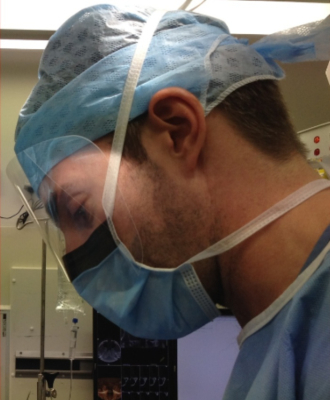 Ben Gurney is a Consultant Oral and Maxillofacial Surgeon based at the Royal Surrey County Hospital, Frimley Park Hospital and Nuffield Health Guildford. He is dually qualified in Medicine and Dentistry, and is on the General Medical Council specialist list for Oral and Maxillofacial Surgery. During his early surgical training, he completed posts in units across the UK: in Edinburgh, Teeside, Sunderland, London and the South East of England. His specialist training was completed at the Royal Surrey County Hospital, Guildford and Queen Victoria Hospital, East Grinstead. Following specialist training, he completed an Orthognathic (Jaw Surgery) and Facial Trauma fellowship at the Royal Melbourne Hospital in Australia. Ben is committed to all aspects of Oral and Maxillofacial Surgery with a specialist interest in wisdom teeth removal, corrective jaw surgery, skin cancer surgery/reconstruction and facial trauma surgery. Ben has an academic interest in sentinel node biopsy for head and neck melanoma, and is a core member of the Royal Surrey County Hospital skin cancer multidisciplinary team. He also undertakes routine oral surgery, pre-implant surgery and dental implant placement, jaw joint surgery and aesthetic facial surgery. Ben strives to give an honest and considered opinion to his patients and is committed to providing excellent surgical care.